I hope you enjoying reading about Lori Potter's cruise experience on the Disney Wonder as much as I am. I think I must get a trip on the books for next year! In case you need to catch up, you can read Part I of Lori's cruise experience here. 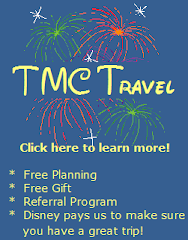 One thing that we really loved about doing a Disney cruise was the option to have the kids go the kids only area. They have it broken down into 4 areas: Teens, Out & About (especially for 10 - 13 year olds), Oceaneer Club/Lab and the Flounders Reef Nursery. My girls were all eligible for the Oceaneer Club/Lab. I think at one time the club was for ages 3 - 7 and the Lab for 7 - 12 but now either area is for all ages, 3 & potty trained and up. The Club is full of toys, games, a giant pirate ship, Disney movies, places for art and some computers. The Lab has games, tons of computers, a "kitchen" for cooking school and places for art and crafts. They have around 50 cast members that work in the kids club. When you check your children in they are scanned in with the wristband, given a squirt of Mickey soap and directed to the bathroom to wash their hands. They have scheduled activities in the areas as well as free play and the scheduled activities cover a variety of themes. My 7 year old loved the lab. She wanted to spend a lot of time there..in fact the last night we told her no, she had to come to dinner with the family! My younger girls liked it but they didn't beg to go there like the older one. The staff was very good about paging us if any of the kids wanted to leave. The staff was always extremely friendly and kind and the security system was great. Also, the last afternoon the kids put on a really cute show! My toddler was eligible for the Flounders Reef Nursery. It is for kids under 3 and is an additional charge of $6/hr, which, in my opinion, is a bargain! You can pre-book your time in the nursery (up to 10 hours on a 4 night) which I did. What I didn't count on was my toddler having extreme separation anxiety and hating the nursery! We usually don't have any issues with him but he was not at all happy about that nursery. The nursery seemed very nice, Disney shows playing and lots of Disney toys. They had an area in the back with cribs. It was sort of small but the cast members in there were extremely friendly and loving. And it always seemed to be the same people in there. They were very good about giving us updates on how my son was doing and when he clearly was too upset to stay in there they called us to get him which I really appreciated. Our ports were Nassau and Disney's Castaway Cay. We didn't do much in Nassau - with our child to adult ratio and factoring in their ages we didn't think the money was worth it. We ended up walking around some but it got hot and the kids got whiney so we spent much of the day on the ship which was great. Castaway Cay is Disney's own island and we were completely blown away by it. We all loved, loved it and it topped everyone's list as one of our favorite things of the cruise. They have a separate beach areas for families, adults and teens. They also have lounge chairs for everyone as well as strollers and wagons available for use. There is a splash pad, a water playground and plenty of sports activities to keep everyone busy! There are two restaurants that bring a bbq to the beach for lunch! There also have a few bars and food is plentiful on the island. There are also a couple merchandise shops (it is Disney after all). They also bring the kids club to the beach, a separate area from the water, so the kids can play with their new friends while you lounge on the beach. The weather was beautiful the day we were there and again it was fabulous! I can't say that I would necessarily recommend September, the peak of hurricane season as the best time to sail. The weather was great for us but, the seas were very, very rocky the first night due to a hurricane far off to the east. One of my children (along with many, many others) got seasick the first night. After that it was much better but in general, the ocean was rougher (or so we heard) then usual. The best thing about September is that the rates are low since it is hurricane season but if you get seasick you may consider another time of year! I had read that dress for dinner is "cruise casual" and one night is an optional dress up evening. Cruise casual means no shorts or bathing suits. I packed pants for my husband and son and dresses/skirts. for the girls and I. What we found was a little bit of everything. There were certainly more people dressed up than others and plenty of people in shorts. I liked dressing up for dinner, my family..not so much but we did it anyway! 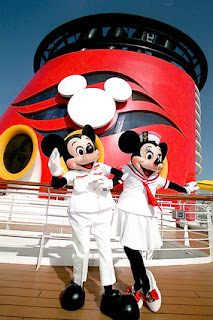 There are many, many opportunities to see Disney friends on the cruise! Each day in the Navigator they print the character appearances and there are many every day. We also happened upon a couple characters running through the lobby or hanging out on deck! Even if the appearance is supposed to be only 15 minutes they are very flexible about it and seem to do their best to give everyone waiting a photo opp! On the last night of the cruise the characters put on a very special program "Til We Meet Again" giving everyone one last opportunity to hug a character you may have missed. That was another highlight! Sadly debarkation starts very, very early on the final morning. You set your luggage out the night before and you are given a time to go to breakfast based on your dining rotation (the late dinner seating gets a later breakfast time) Breakfast is with your servers so it's a nice chance to say goodbye to them and the other friends you made during dining. Did I mention it's early? Technically you are supposed to take all your things with your to breakfast but I hadn't planned that very well and had too much stuff so we left that in the room during breakfast and walked back down to get it before departing. Upon debarking you find your luggage (it's tagged with a color/character) and go through customs. We found the process to be very quick and easy. Sadly we were at our car by 8:30am. I just wished we could have stayed on board longer! 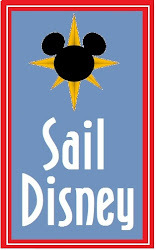 We definitely hope to another Disney cruise. They are unveiling a two new ships, the Dream and the Fantasy, in 2011. Both ships will be far bigger than the Wonder and Magic and with many new features - have you seen the pictures of the Aquaduck...the water coaster?? It looks amazing!! Can't wait to go again..in fact, my husband and I want to take a Disney cruise without the kids next year...shhh...don't tell them!